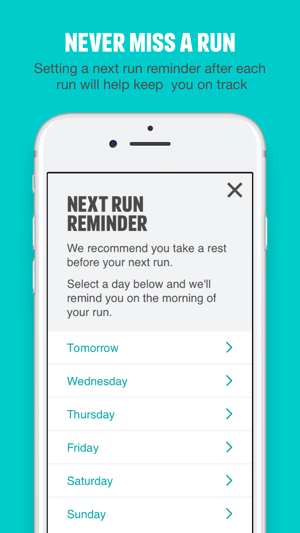 Use the Get Running app instead. 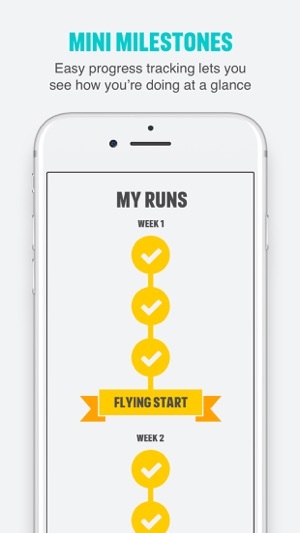 I used the Get Running app a couple of years ago and found it really useful and managed to achieve my goal of running for 30 minutes non stop. Then due to having surgery I stopped running and got out of shape. 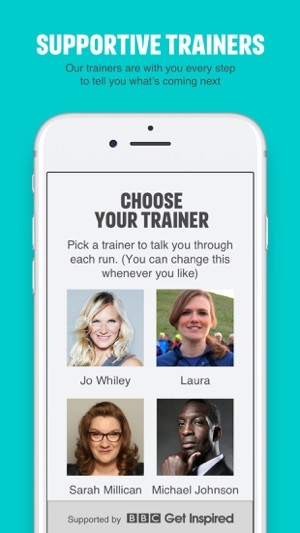 I decided to start running again and for a change, thought I’d use this NHS app after hearing good things about it. Unfortunately I was left disappointed. I find there is no encouragement from the coaches whatsoever. I used all of the coaches on different runs and all you get is the initial voice telling you to get ready to run/ walk then silence. I was really looking forward to the Sarah Millican one thinking she’d tell funny stories etc to boost moral but there’s nothing. 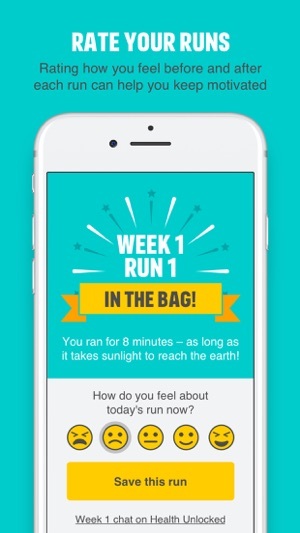 The Get Running app encourages you all the way through. For example, telling you when you have 30 seconds left of running or telling you when you have 10 more seconds of walking which enables you time to ready yourself to run again. It stops you looking at your phone all the time to see how long you have left to run/ walk because the coach talks to you a lot more. I think you should have the coaches talk to you more and provide more encouragement which would take your mind off points in the run when you feel like you’re struggling a bit, and then if you wish to listen to music instead you can just turn the coach voice off. I hate running. I haven’t run in 25 years since cross country runs at school and even then I cheated and took short cuts or walked. 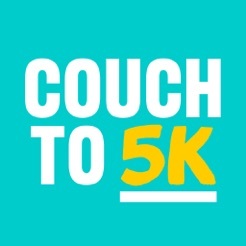 However, being older and more stupid I wanted to set myself a goal hence CouchTo5k. 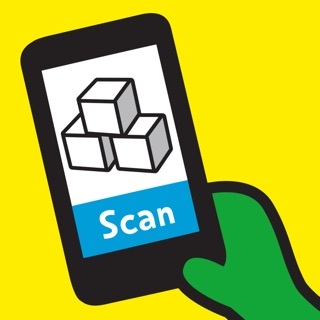 The app is very good - starts slowly & builds confidence. There is one huge step that comes out of nowhere and is a real shock but it proves that the all the runs you’ve done have put miles in your legs and is surprising achievable. After that you know the end goal is achievable. I got to 5k 5 runs early - week 8 run 1 - by simply following the process, pushing hard but not stupidly hard. I had 3 horrible runs out of 22 - normally after big nights out tbh. I do have 1 issue therefore not 5 out of 5. 5 minute warm up walk is not enough imo I had pain in my knees and ankles. The first 2 weeks were horrible until I looked online to find appropriate stretching exercises. The next 6 weeks were pain free. 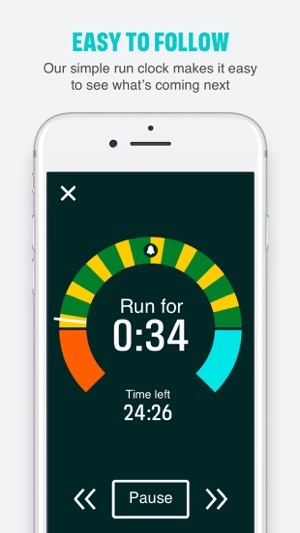 As someone who has never run I would say this app has the potential to change life styles. I honestly love running now & feel healthier and get a huge sense of well being after every run. Running 3 times a week is now very much part of normal week and I hope it continues to be so for the foreseeable future. I’ve never been a runner, even at school I got out of cross county if I could, I hated it, but last year I decided to sort out my weight, try to help my back, (I have sciatica, a bad ankle, asthma and sporadic bad knees) so I set myself a target to loose as much weight as I could in a year. I managed 4 stone. I did the gym, I did the walking and the cycling and then decided to give running a shot. Downloaded this app in the hopes it would help. Managed the first couple of runs ok so carried on. Came as a shock the first time it wanted me to run longer than a couple of minutes but I managed and was chuffed to bits. All of my runs up to week 7 were done in a gym on a treadmill. The last run of week 7 my husband convinced me to run out doors, sceptically I said ok and was massively impressed I ran 5k without stopping! That was last week, since then I managed 7k and am loving it! I have set myself targets to run 3 times a week to get me ready for Race For Life. I can say without this app I never would have managed it! Give it a go, you may surprise yourself! !